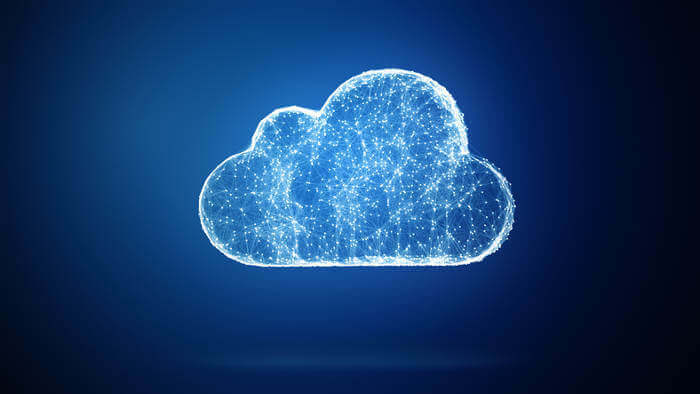 Anyone researching technology solutions for their business has certainly encountered tons of information about “the cloud.” It sounds like a lofty, complicated tech term, but in reality, cloud services are rather easy to understand. Cloud computing refers to the storage and access of data via the internet instead of a computer’s hard drive. Cloud services are any programs made available through cloud computing. You may not even realize it, but a lot of the applications you use on a daily basis are actually cloud services, including email clients, Google Docs and social media networks—anything you can access without having to install onto your device. The following types of cloud services are referred to as “public” because they’re sold by third-party vendors and can be accessed by any number of people at the same time. That’s doesn’t mean they’re not secure, but just that their usage is not limited to single organizations. They’re typically used because of their cost effectiveness. Also, they’re perfect for those who are tech-savvy since most of them require some degree of setup and management on the user-end, although professional help can always be enlisted. Infrastructure-as-a-service is a prevalent type of cloud computing service for small businesses. It involves renting IT infrastructure, such as hardware, networks and storage systems, from a provider on a pay-as-you-use basis. Microsoft Azure is a common example. Another type of cloud frequently used by small and medium businesses, software-as-a-service (SaaS) is used to access software applications through the cloud. Microsoft Office 365, for example, can be accessed via the cloud without having to be installed on employees’ computers. Platform-as-a-service are typically used strictly by developers to create web and mobile apps without having to manage servers and data storage on their own. Instead, they outsource the IT management to a third party. Private cloud networks, on the other hand, are dedicated to single organizations. For example, if you had a private cloud set up for your business, nobody would be allowed to access it besides authorized users in your network. Because of their isolated nature, private clouds are considerably more secure than public clouds (which are already rather secure). They’re also recommended for businesses who have to comply with certain government regulations relative to their industry, since private clouds are fully customizable. Hybrid clouds are, as the name suggests, a combination of public and private cloud services. They enable organizations to reap the benefits of the public cloud, while also maintaining their own, highly-secure private cloud. Choosing the right cloud services for your business ultimately depends on your goals. If you have any questions about whether the cloud is right for you, ask your tech support team. PreviousPrevious post:The 7 Sweetest Android Oreo Features NextNext post:Adobe Flash End-of-Life: what does it Mean for Businesses?